This two story 1200 square foot double has two bedrooms and two full baths. There is a king, queen, and a pull-out couch bed to give ample sleeping space. The master bedroom has a screened in balcony. 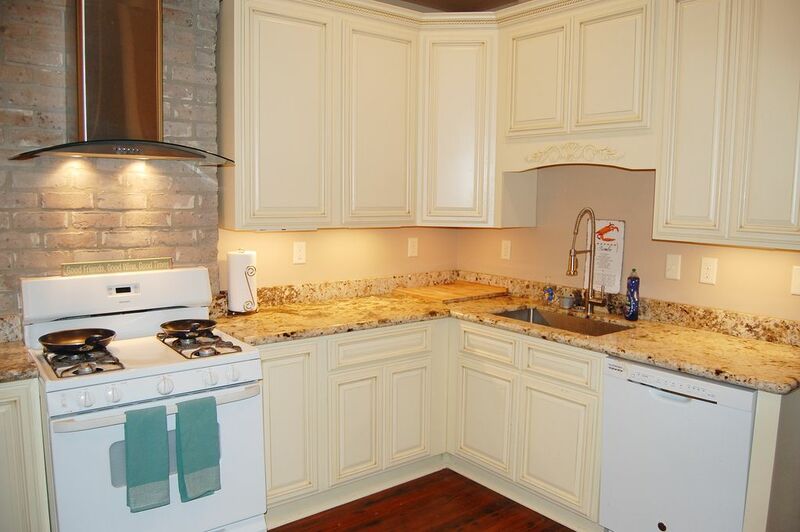 The newly renovated kitchen is perfect for some southern cooking, or you can BBQ on the spacious deck in the backyard. The owner lives on the other half of the double so should an issue arise he is only a couple of steps away. I have lived in New Orleans all my life, excluding college, and have been able to experience all the city has to offer. I currently live on the other side of the double 1111 Fern. I have live all over New Orleans and by far this is my favorite location. Paul's property was really great. It was within walking distance of some friends and, more applicably, restaurants, coffee shops, and bars. I would highly recommend staying at this lovely home! Well appointed property, quiet side street, responsive owner. Will be glad to stay here again! Loved the location and the home was very nice and clean. Owner was very nice and made sure we were taking care of. Tons of information provided about the city and so many nice places within the vicinity. Paul is a fantastic host, and the property is excellent. Paul met us on arrival and remained available throughout our stay. The property is in a great (quiet) neighborhood, within walking distance to the the streetcar and Oak Street’s restaurants, bars, and shops. The apartment is spacious, clean, unique, and comfortable. We even had individual packets of Tylenol and bottles of water by the bedside — certainly necessary for NOLA amateurs! I will definitely look for this property’s availability when heading back to New Orleans. We enjoyed our time in this historic area of New Orleans. We were walking distance from several places to eat, and the neighborhood was beautiful. Paul was very helpful and answered any questions we had. The house was clean and the back porch was huge! Definitely recommend for anyone hoping for a true New Orleans experience! My family of four enjoyed our 4 day stay. Our favorite thing was the lovely kitchen where we cooked meals. We took evening walks and rode the street car to the French Quarter a couple of times which was much cheaper than Uber. The menus and pamphlet the hosts provided were most helpful. There were many food options and we enjoyed each one we picked. Great trip!